TOHO INDUSTRIAL co., ltd. manufactures various types of products by using a streamlined production method enabling a continuum of plastics production consisting of designing, forming, painting, printing, and assembling and finishing. Furthermore, the company has enhanced the plastic business capabilities in the areas of product plan and design, development of automation technologies, research and development of processing technologies of new materials, and proposal of new products complying with characteristics of new materials. The company has made perfect arrangements for customers that shift production bases from Japan to overseas. It established a factory dedicated to making molds in Vietnam, and created a manufacturing mechanism that benefits from production networks in China in order to enable manufacturing arrangements capable of meeting individual customers�f requirements. 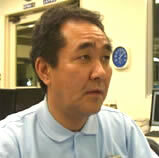 Mr. Koji Uehara, section manager of Mold Creation, Technology Division, shared his thoughts during our interview. Solid Modelling is enabled and eases mold designing through utilization of standard parts. �gCADCEUS has been with us for about 11 years since it came as a rare system capable of totally 3D mold designing. We used to use another manufacturer�fs CAD system that had mold capabilities before CADCEUS introduction. Our engineers found it difficult and not user friendly for smooth operations. On the other hand, CADCEUS enables solid modelling quickly. Its splendid operability is appreciated by our engineers designing molds through the use of invoked molds�f standard parts data that has already been embedded in CADCEUS. �gCADmeister enabled a process of total 3D design, and thus reduced workload of product designing. We create drawings for molds that have been 3D designed through the use of CADmeister�fs mold capabilities. The figures show plates that are used for fixed parts and mobile parts of a mold. They are used for hole machining. Infallible hole positions of individual mold plates are indicated, which is different from when they used to be given in manually prepared drawings. They allow no human errors. This concept of designing and drawing has been used at our factory in Vietnam where the English version of CADmeister enables a process of total 3D designing. �gWe have accelerated ourselves to transfer the mold technologies that we have accumulated in Japan to our factory in Vietnam. We aim to inexpensively and quickly create products of the same quality as in Japan through the use of tools such as CADmeister. 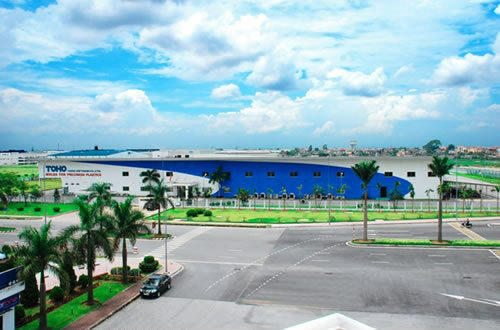 Our Vietnamese employees operate in the same environment as in Japan where they use a CADmeister system of English version and plastic injection molding machines manufactured in Japan. However, it is virtually impossible to create finished products of the same precision as expected in Japan. This is due to differences of culture and sensitivity. Thus, we would like to fill the gap in quality between Japanese products and Vietnamese products by creating impeccably complete data through CADmeister. * The company names and product names described herein are trademarks or registered trademarks of their respective owners. * The names of local autonomous bodies, companies and individuals were given in the interview.